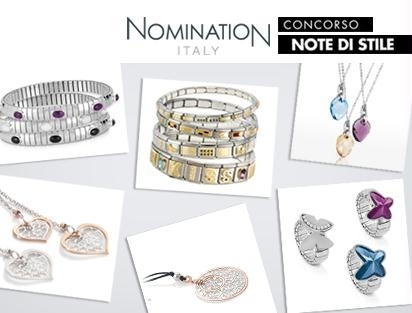 NOMINATION has been world leader in the steel and gold jewellery market since 1989. The company produces jewellery enriched with precious and semi-precious stones, zircons and diamonds. NOMINATION, together with TOY G, was the protagonist of the "Style Notes" contest conceived and managed by Layoutweb. The contest offered the chance of participating in two casting sessions with Gianna Tanni and of becoming a web testimonial for NOMINATION and TOY G. The prizes were dozens of total look outfits, splendid jewels and, for the winners, the chance of creating a photography book. All that is needed to participate is to register to the notedistile.toyg.it website and upload a photo with a few short comments and personal notes. Users' votes will choose the winner each month, and the finalists will model before a jury headed by Gianna Tanni, Mediaset casting director. In addition to the concept and drawing up of regulations, Layoutweb also handled the management of administrative practices, all communication about the initiative and the organization of the casting sessions. The contest has sparked great interest in its reference public: over 15,000 target people registered to play for the prizes or to enter the world of fashion.